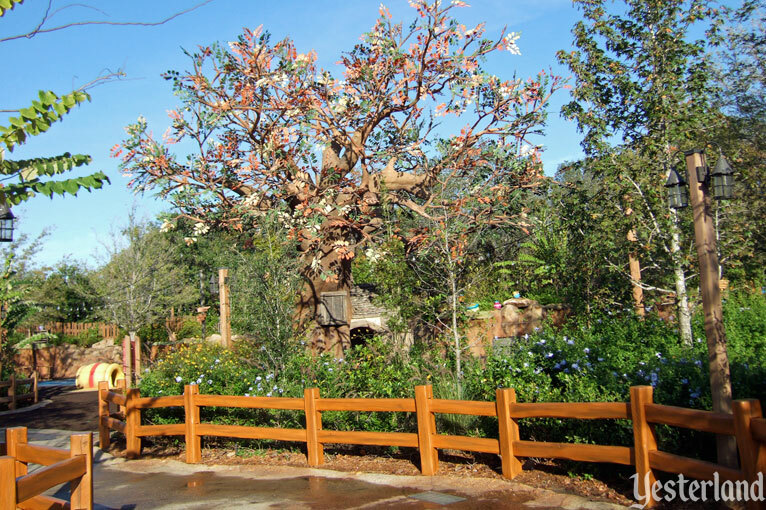 It’s said that Walt Disney was inspired to create Disneyland while sitting on a bench watching his young daughters ride the Griffith Park Merry-Go-Round. 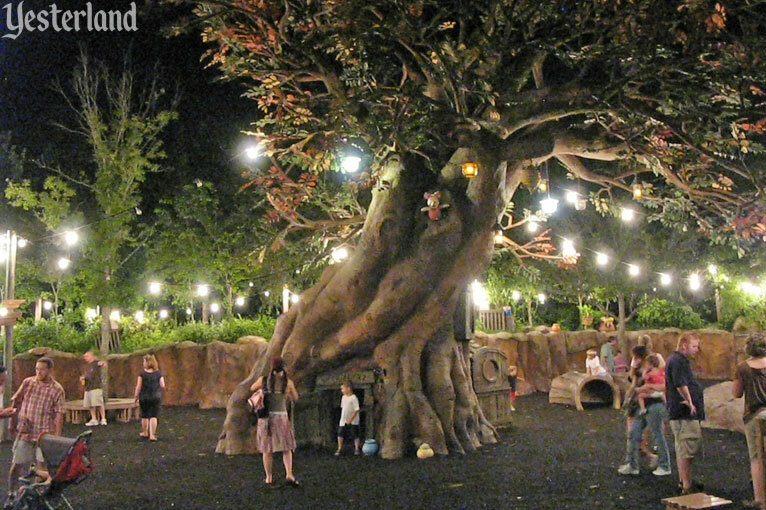 Walt wanted a park filled with things the whole family could enjoy together. 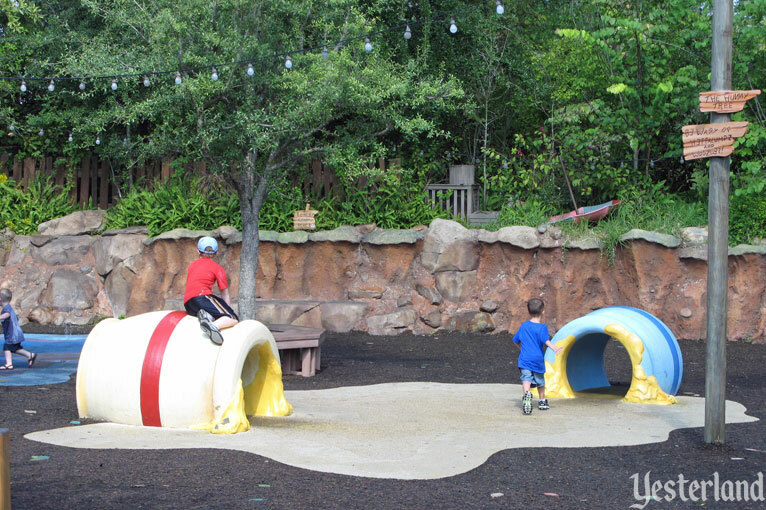 But, even in Walt’s park, some attractions would be for a limited age group. The King Arthur Carrousel, with 72 leaping horses, was essentially a better version of the Griffith Park ride. The Midget Autopia was for children too small for the other Autopia rides. 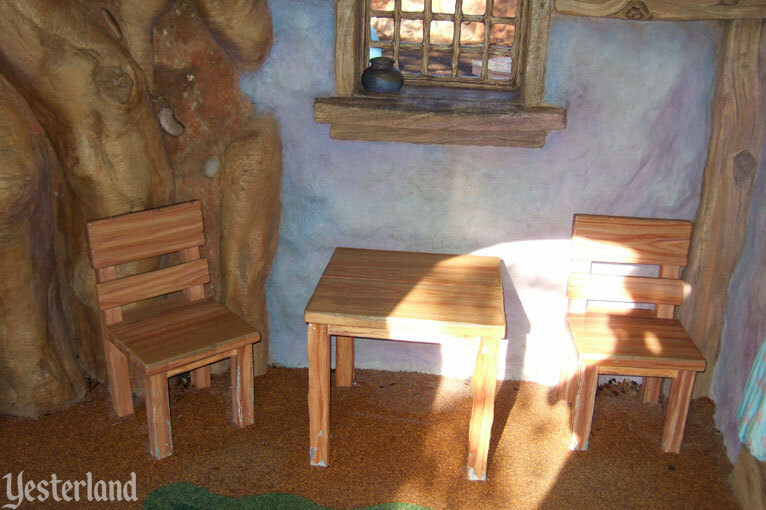 At Yester Magic Kingdom, there’s an attraction designed just for 2-to-5-year-olds—with benches for their parents. 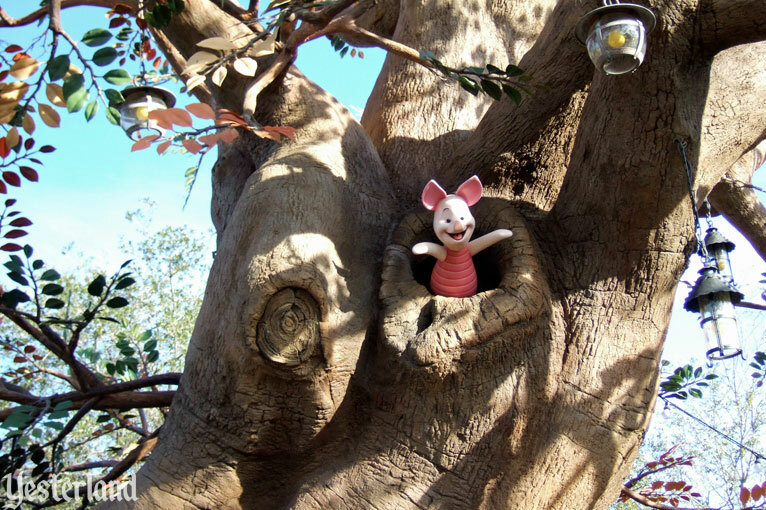 It’s Pooh’s Playful Spot. 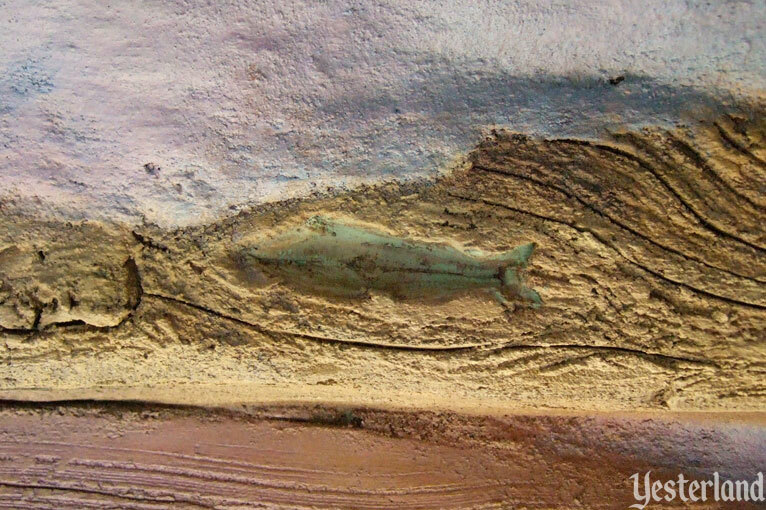 What’s on the beam above the arch? Captain Nemo’s submarine, the Nautilus! 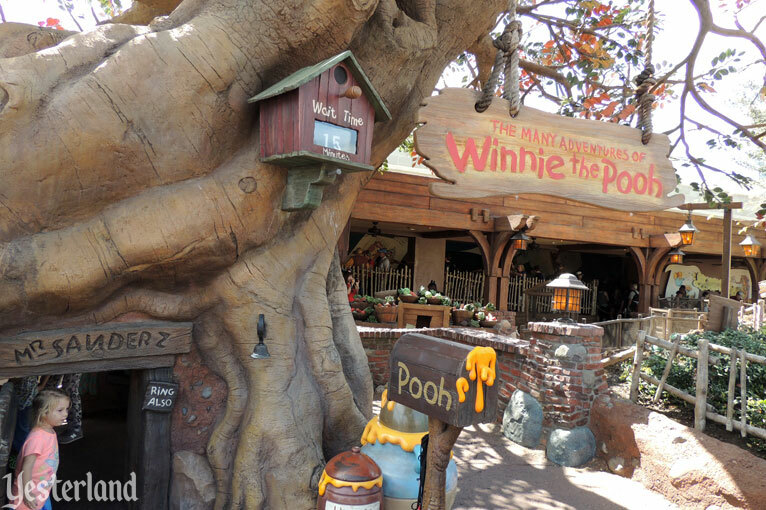 Pooh’s Playful Spot isn’t for everybody—but for its target guests, it might just be the second best attraction in the whole park. 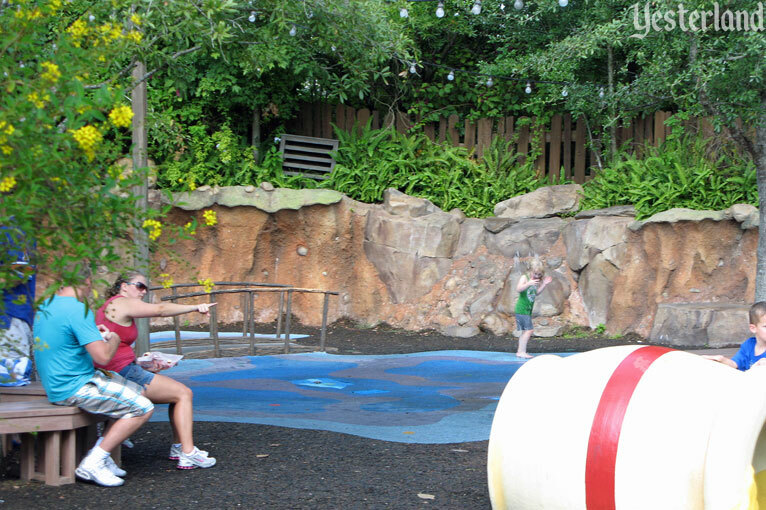 The best attraction, of course, is anyplace in the park with a family of ducks. Quack, quack. 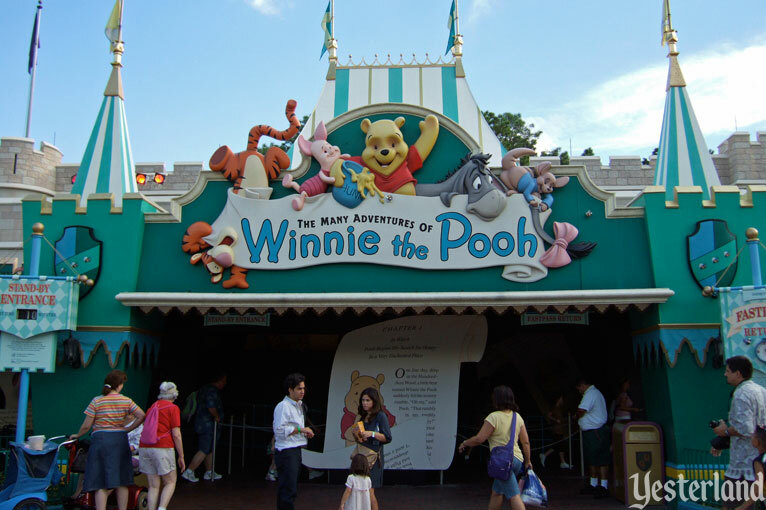 Pooh’s Playful Spot opened at Magic Kingdom Park at Walt Disney World on September 1, 2005. 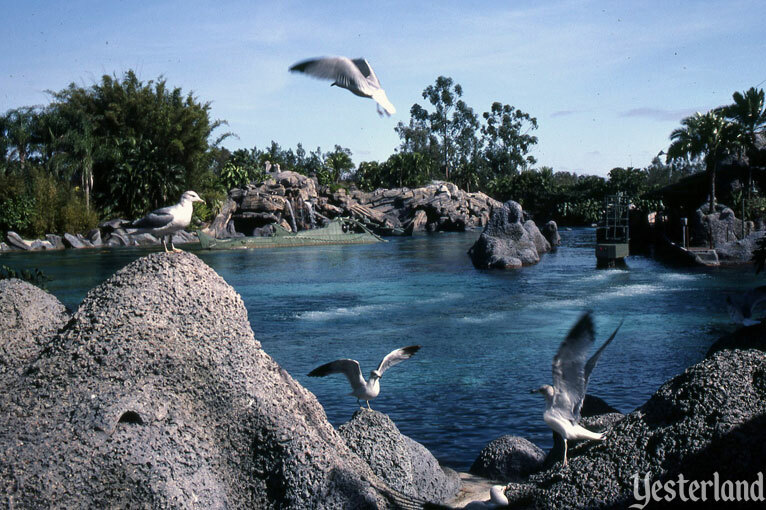 The site of the playground had originally been part of the lagoon for 20,000 Leagues Under the Sea (October 14, 1971 to September 5, 1994), the Florida counterpart of Disneyland’s Submarine Voyage. 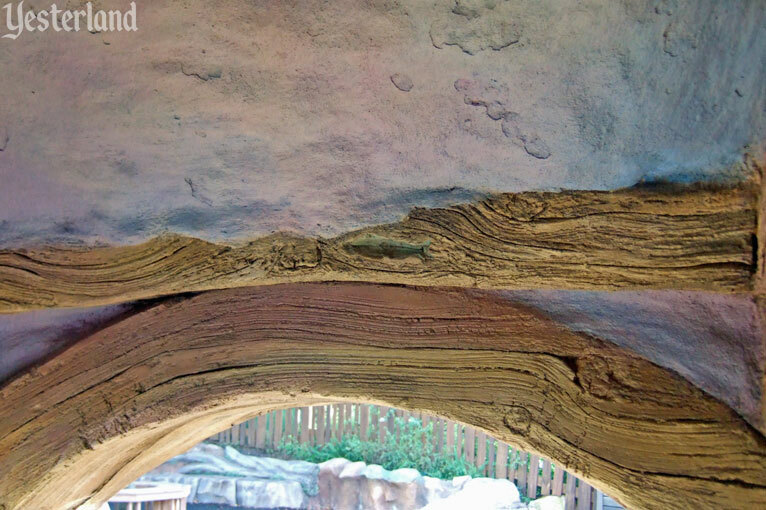 After the ride closed—“for repairs,” until it became clear it would never reopen—the lagoon sat idle for ten years before being removed and filled in. 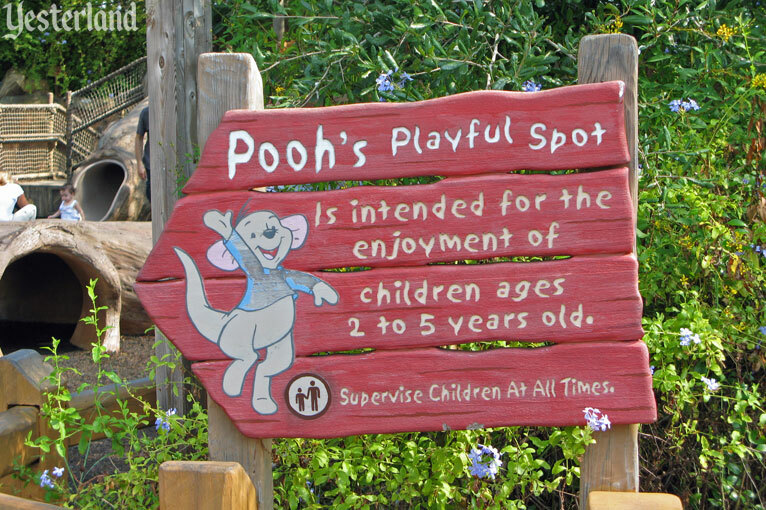 As the replacement for one the park’s biggest E Ticket attractions, Pooh’s Playful Spot was exceedingly modest. 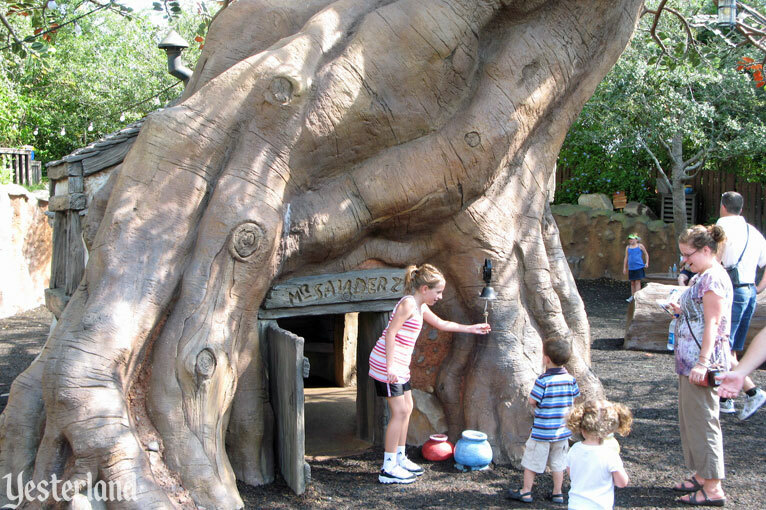 It served its purpose—a place for 2-to-5-year-olds to release energy under the eyes of their parents. There was good design work. 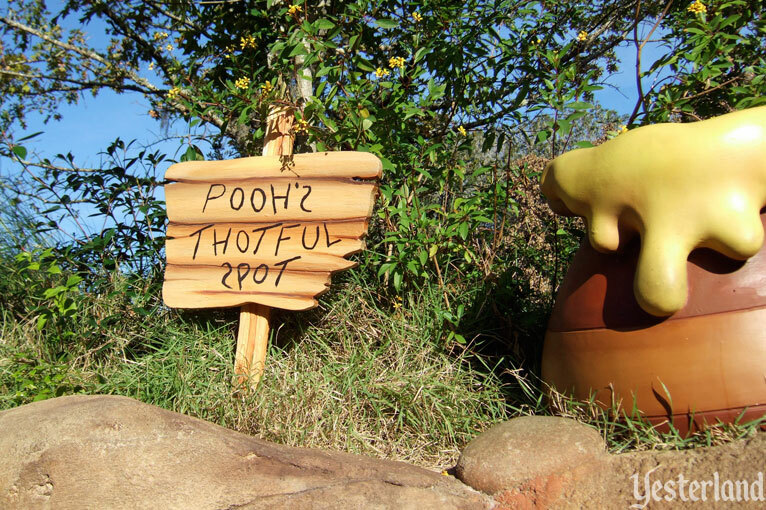 And it probably generated some merchandise sales at the nearby Pooh’s Thotful Shop. 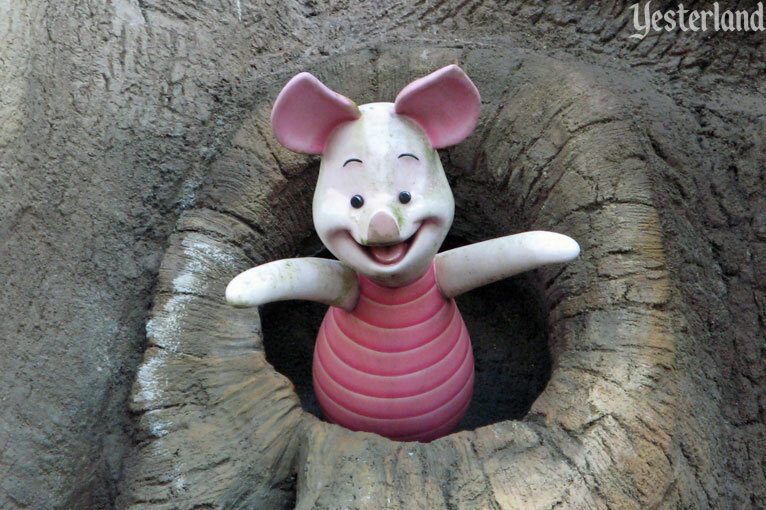 Pooh’s Playful Spot did not last five years. It closed permanently April 11, 2010. 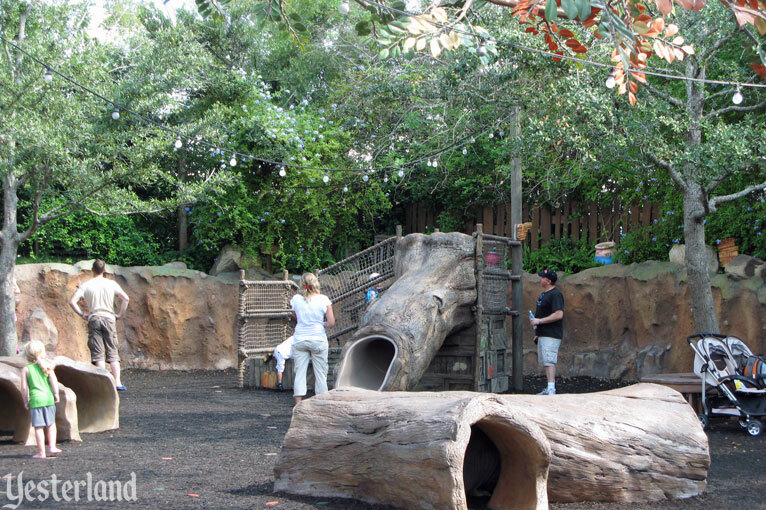 The next attraction on the site would be much more elaborate. 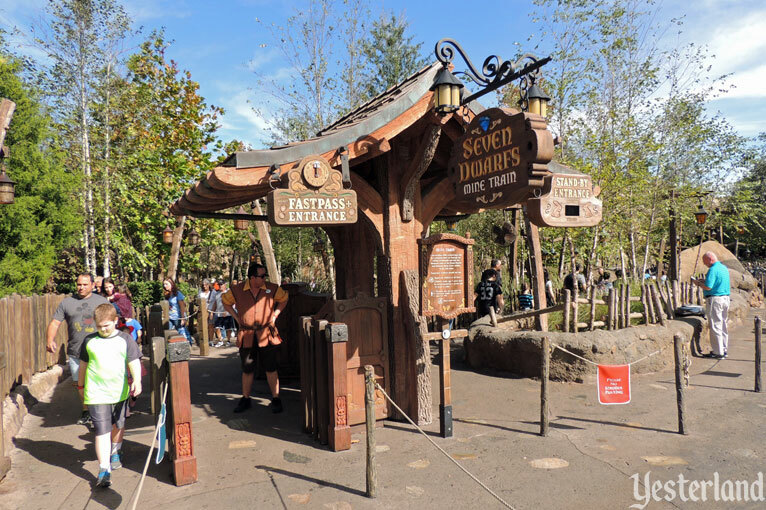 Seven Dwarfs Mine Train, a family roller coaster with a dazzling show scene, officially opened May 28, 2014. 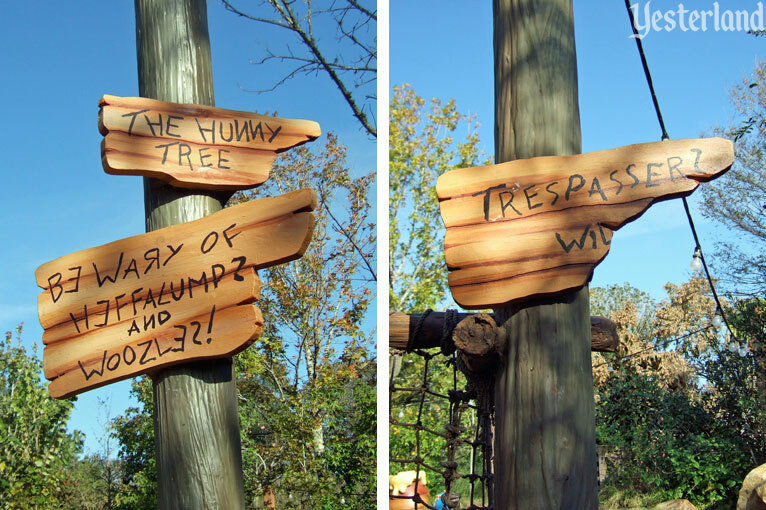 Part of Pooh’s Playful Spot lives on. 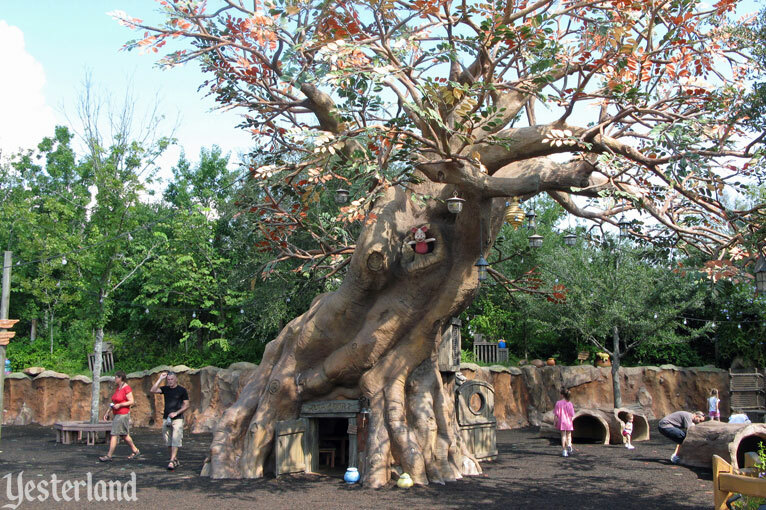 About a month after the playground closed, Disney brought in a crane to move the impressive 120-ton tree a short distance to become part of a new exterior for The Many Adventures of Winnie the Pooh. 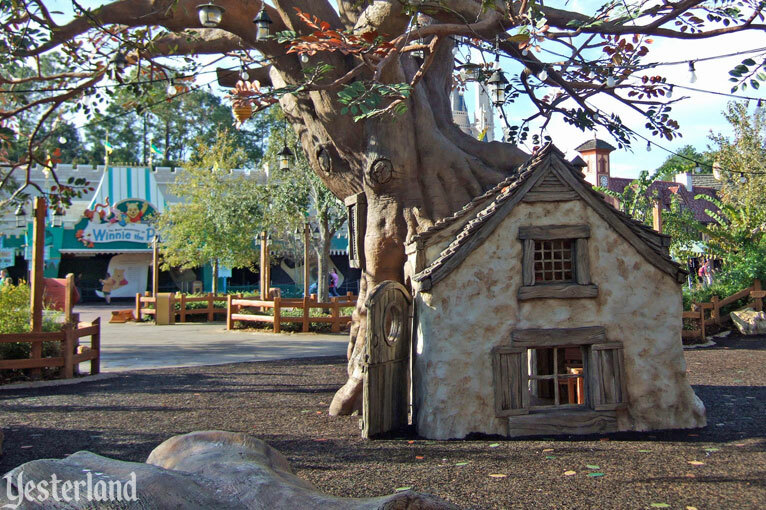 The ride lost its old tournament tent façade and traditional Fantasyland queue. Its noisy interactive queue is either fun or annoying, depending on your point of view.